During the most recent reconstruction, archaeologists uncovered the remains of a Gothic 13th-century house with a 14th-century tower. But the most significant discovery consisted of casting moulds from the Celtic period of the settlement, proving the existence of a Celtic mint in the town.Today the palace offers contemporary selections as well as the classic masters collections. 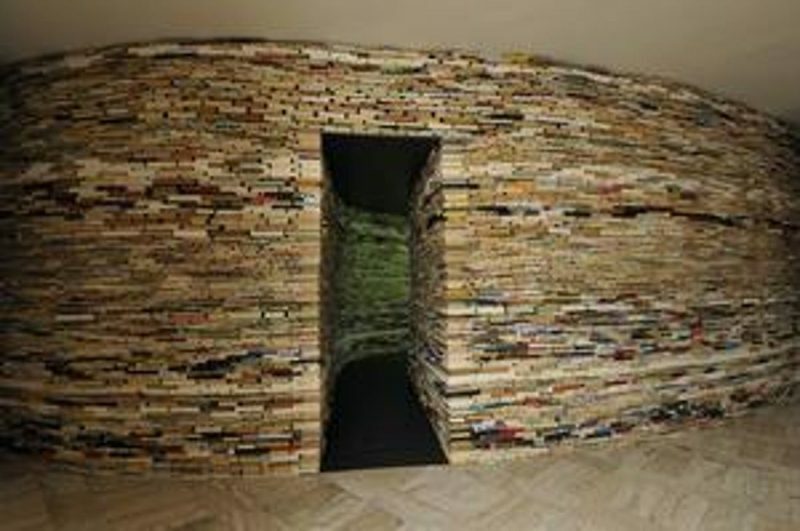 Visualy most popular is probably the instalation Passage by Matej Krén, consisting of almost 15,000 books, which, together with mirrors, create an illusion of endless space and infinity of human knowledge. 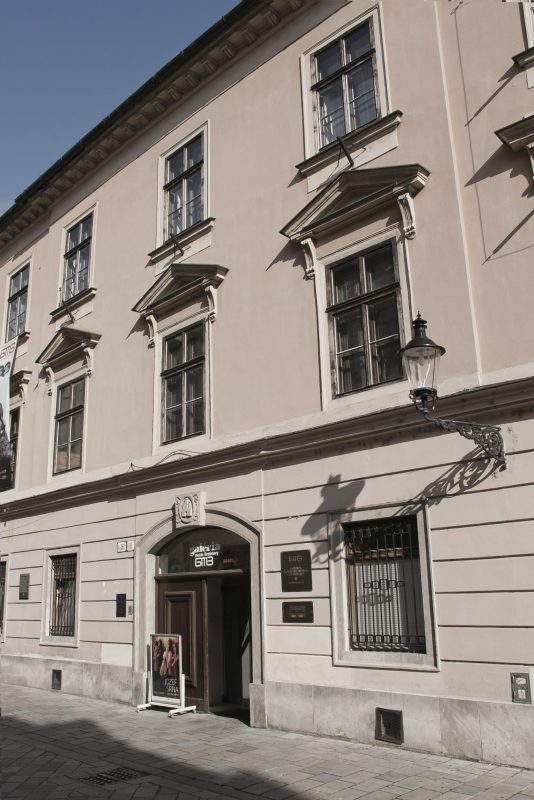 Another extraordinary piece is the installation Villa of Mysteries by Alex Mlynárčik, which presents significant part of slovak fine art and an authentic evidence of the originally created for the period. It has originally been created for the exhibition in Lund (Sweden). masters from 17th and 18th centurym, also pieces by Italian masters from the 17th to 19th century.